Hair loss is one of the commonest problems that affect lots of men and women today across the world. Many take the loss of their precious mane to heart and feel bad about the whole thing. In such a situation, the only advice such people can be given is to not feel bad about the issue as hair loss is fairly common among most people. Rather they could do well to focus on proper solutions that can help arrest further hair loss and maybe re-grow fresh hair again. HOT OIL TREATMENTS: Take any one of the natural oils – coconut, olive or canola. Heat the oil so that it gets warm (not too hot). Massage the oil in a gentle way on your scalp and later put on a shower cap to leave it that way for an hour. Finally, shampoo your hair. NATURAL JUICES: Nourish your scalp with any one of garlic juice or onion juice, or ginger juice. Apply them on the scalp overnight, massaging them deep inside slowly. Then leave the scalp that way overnight and later wash it with water in the morning. You can also use green tea (two bags brewed in a cup of water) on your scalp and leave it that way for an hour. Then rinse the scalp (Green Tea contains anti-oxidants which help prevent hair loss & boost hair growth). FENUGREEK SEEDS: Soak fenugreek seeds and squeeze it gently hard to get the maximum juice out of it in a bowl. Then make a fine paste of it and mix it with water. Later apply the mixture all over your scalp and massage for a few minutes. Leave it that way for half an hour and later rinse the hair thoroughly. SCALP MASSAGE: Massage your scalp for a few minutes daily. This will help stimulate blood circulation which in turn will help keep the hair follicles active. To make the process more effective, use a few drops of lavender or bay essential oil in an almond or sesame oil base. PROPER DIET: Get yourself a proper diet that has lots of vitamins and proteins, especially B-12 vitamins. That means your diet should have enough fruits, greens, lean meats, fish, and vitamin-rich food items. Avoid junk foods and cold beverages at all costs. GOOD QUALITY HAIR PRODUCTS: Use a good quality certified shampoo and hair conditioner that is also suitable for your hair. Poor quality or fake products will only end up damaging your hair follicles leading to irreversible hair loss. Also make sure to consult a hair specialist who will carry out a proper hair and scalp analysis, get to the root of your hair loss problem and suggest the right remedy depending upon the type of your hair loss problem. If you’re bothered on how to stop hair loss, try out Keshyog treatment for hair fall from GTM Teleshopping. GTM Teleshopping offers an effective Keshyog treatment for hair fall that helps arrest the rapid fall of hair. A natural, pure and totally herbal solution, its preparation is based on the age-old Ayurvedic formula that has withstood effectively the passage of time. It helps prevent hair loss and fuel hair growth while also helping prevent premature graying of hair, remove split ends and cleanse the scalp. 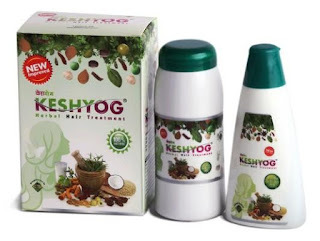 On your part, you need to follow the rules laid down for using Keshyog treatment. Apply the oil daily for about 8-10 weeks in the prescribed mode. If done properly, your hair fall will stop within 3-4 days followed by new hair growth, with no side-effects of any kind. You also need to ensure to stay away from all kinds of chemical-based shampoo and hair oils as well as exposure to direct sunlight over the affected hair loss area and finally, hair treatments of any kind.